Monday - Friday: 8:30 a.m - 6:00 p.m.
Saturday: 8:30 a.m - 2:00 p.m. 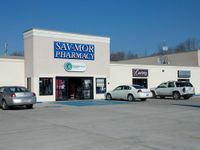 The Tuscola Sav-Mor Pharmacy is proud to be known as one of the last locally owned independent pharmacies in town. You'll find every member of our staff to be knowledgeable and accessible. 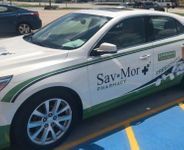 While our commitment to personal service is still the most important aspect of our business, we are constantly expanding to include many patient care services. 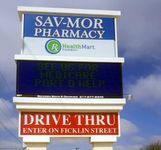 Through all of the growth and modernization, The Tuscola Sav-Mor Pharmacy has managed to maintain the intimacy of a neighborhood pharmacy. Hallmark greeting cards and Fannie Mae candy. Wide variety of Over-the-Counter medications. We bill Medicare Part-B for diabetic testing supplies, as well as carrying a full line of diabetic products. From seasonal Flu shots to Pneumococcal and Shingle vaccines, we can answer all of your vaccination questions. No prescription required for certain vaccines. We'll bill your insurance and administer the shot while you're in our store. Contact us for more details. We can synchronize all of your ongoing medication refills, so you can pick them up on a single convenient day each month. 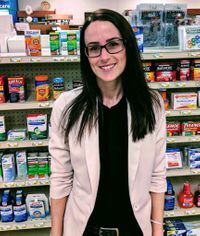 This will also allow our pharmacist to help you stick to your medication regimen, and allow time for questions should the need arise. We offer FREE delivery in the Tuscola area, as well as FREE mail-out service. You can also try our fast, convenient Drive-Thru service.